There's nothing that gets people heated in quite the same way as a good old controversial denim trend. Let's not forget that before they became your go-tos, skinny jeans were also a massive source of anxiety. Prior to 2009, people were just not comfortable with the idea of body-hugging denim the way they are now. This is to preface what I'm about to tell you with the notion that every denim trend is considered deranged before it's eventually accepted en masse. So, here it goes: Bootcut jeans are making a return, and—shocker—the internet is all kinds of divided on the topic. After GQ published a story about the denim trend's comeback, Twitter went off. Some claimed that the revival of bootcut jeans is equivalent to the apocalypse while others proudly admitted to having never ditched them in the first place. Tempted to go down a rabbit hole of opinions? The following Twitter threads are an excellent entrée into the polarized conversation. While we're still not sure exactly what makes people hate the jeans with the fire of a thousand suns, they constitute a new (well, revived) denim trend, so that's where we come in. 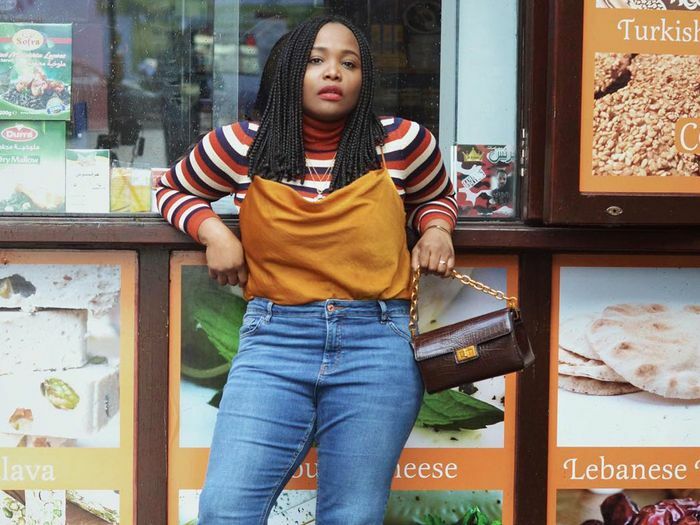 Whether you're a bootcut-jeans hater and are just curious to see how fashion girls could possibly make them look good or you're game to wear the denim again, we've found some worthy outfit ideas with the jeans. Keep reading to see how to wear the bootcut jeans trend and then shop our picks (if you so dare). I'll ease you into consideration of the trend with this simple yet utterly chic outfit. Tuck a thin knit top into the jeans for a streamlined approach. See? The subtle flare flows effortlessly over a pair of boots, hence the name. When you're feeling ready to add another trendy element to your bootcut jeans ensemble, opt for an '80s-style puff-sleeve blouse. A slightly cropped hem acts as the perfect showcase to ankle boots. The key to nailing any look? Tuck in your top of choice and pair the jeans with heels of any height—the extra few inches will elevate the look in more ways than one. You can't go wrong with a black pair. Just look how long they make legs look. For more of the latest denim trends, read up on the unexpected style that feels so fresh right now.